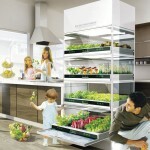 Mobile Food Garden targets people who live in urban area (limited space) or in small high-rise buildings who don’t have a chance to experience the joys and benefits of gardening. 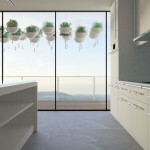 The main objective of this project is to connect people with nature by designing a system that allows apartment gardening experience. We are becoming increasingly aware of our current unsustainable practices. Many people currently live in compact high-rise dwellings, and as populations increase, and residential spaces becomes more limited, these are likely to rise dramatically. Apartment homes do not have the luxury of a backyard and there is limited opportunity to experience gardening and its associated benefits. 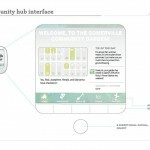 This mobile food garden project aims to reconnect apartment dwellers with nature, through the design of a product/system that improves the urban living gardening experience, while communicating urban dwellers the potential benefits of a more self-sufficient way of living. Analysis of initial research and subsequent observations concluded that gardening activity in apartment is very limited, and usually restricted to growing low-maintenance plants in confined areas. In addition, soil and water were viewed as difficult to maintain and keep tidy, especially in confined spaces without outdoor cleaning aids. Furthermore, people who live in apartments are often transient. This was regarded as a significant barrier towards establishing an apartment garden. 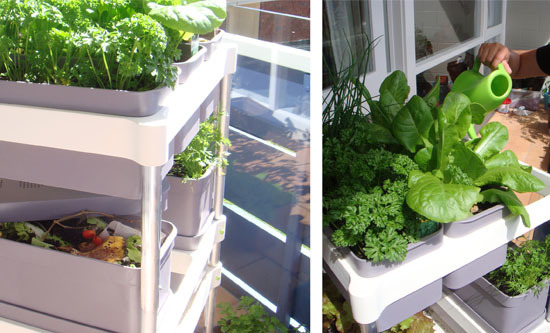 In response to the project mission and insights gained, a self-assem­bled mobile food garden was designed, which allows apartment dwellers to create their own balcony vegetable patch. The garden is designed as an ecological system based around three dominant cy­cles found in nature: growth, water and nutrient. Most plant growth occurs in the top two levels. 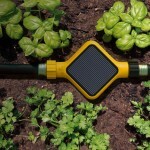 These are adjustable in height to maxi­mize sunlight. Seeds may be germinated in the lower levels and rotated to the top trays to allow further growth. 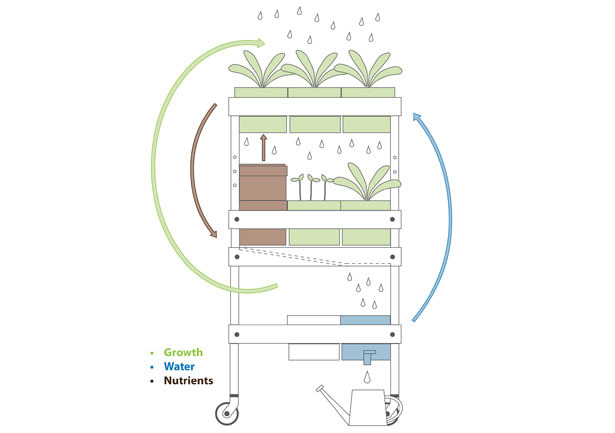 Rainwater feeds garden from the top, it then flows through the lower planting trays and collects in the bottom water tray. A worm farm is incorporated to utilize food scraps so that soil may be continually nourished. 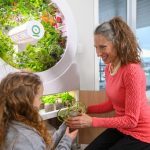 The Mobile Food Garden system aims to improve apartment gardening experience by providing an optimal growing sys­tem with enhanced versatility specifically for apart­ment living. 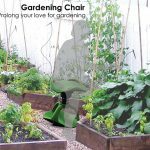 It can be arranged in a variety of ways to provide the best growing conditions for a diversity of crops, while allowing the personalization of the gardening process. 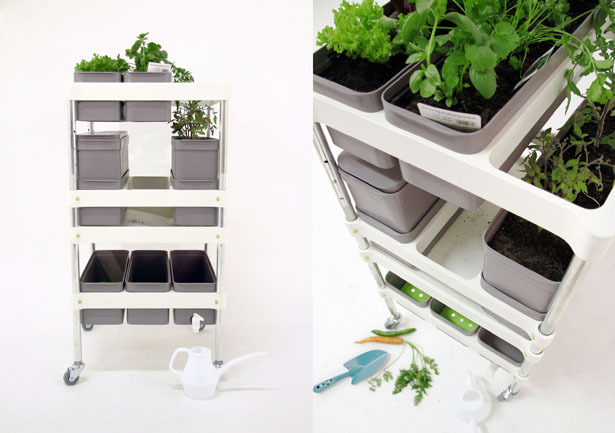 Each planter has a removable base and can be stacked to provide deeper soil as required by some crops (i.e. root vegetables). 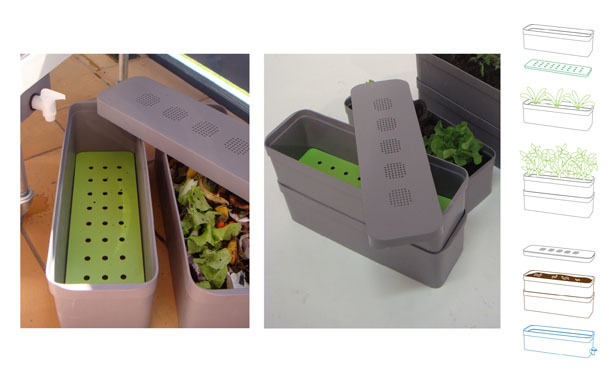 The containers also function as tool storage spaces, and may also be arranged to form a double level worm farm, so nutrient rich worm juice may be collected along with any excess water. The Mobile Food Garden system has been designed with maximum space utilization as well as mobility for better use in confined areas. Tagged as apartment, apartment dwellers, apartment garden, Food, Garden, high rise buildings, maintenance plants, nancy wang, water, worm. 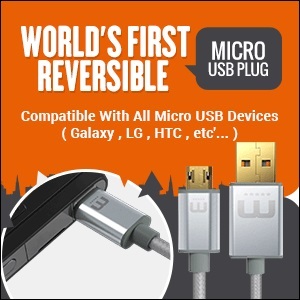 great technology and good idea. 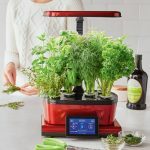 Mobile food gardens and aquaponic gardens are perfect for people who live in small apartments but still want to grow their own veggies or herbs. 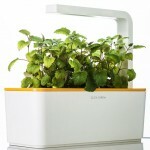 These portable gardens are even perfect for window sills and balconies.